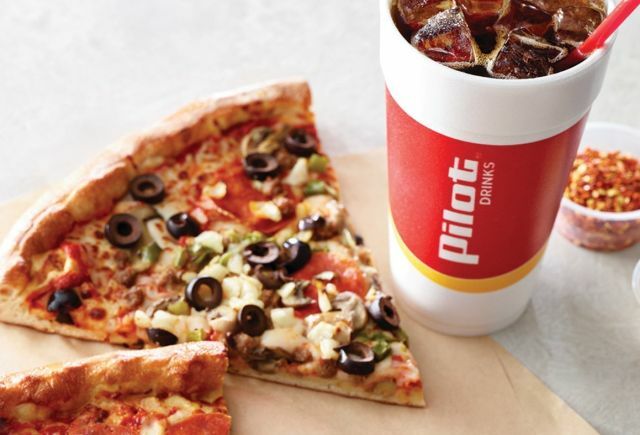 As a celebration of both the Super Bowl and National Pizza Day , Pilot Flying J will be offering a free slice of pizza from February 3 to 10, 2019 via an offer in their mobile app. The Super Bowl will be played on February 3 and National Pizza Day falls on February 9. The one-time use offer can be redeem for any available one slice of pizza (the selection may include cheese, pepperoni, mega meat, supreme, and limited-time Mega Meatball) at over 300 Pilot and Flying J Travel Centers nationwide. First-time users of the app will also receive an offer for a free drink of choice.